We don’t typically write up Bluetooth speaker deals because everyone seems to make Bluetooth speakers these days, many of which are good enough to pick up and toss around the yard or house on weekends for mobile tunes. 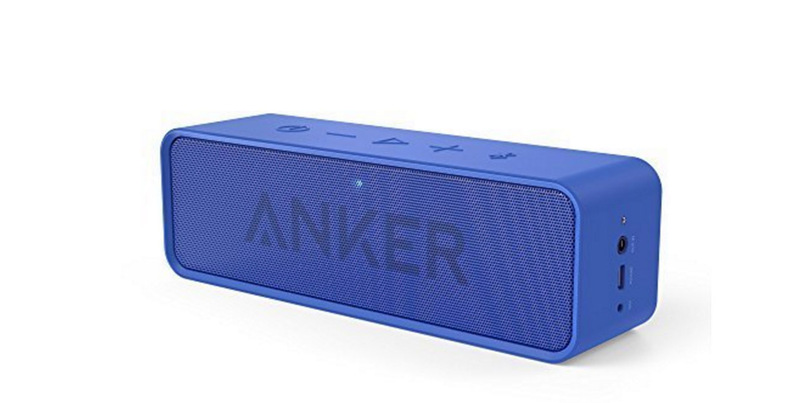 But today, Amazon is running a daily deal on the Anker SoundCore Bluetooth speaker, a speaker that is often thought of as one of the best for the price. Today, for $29.99 ($50 off), the SoundCore Bluetooth speaker can be yours in one of three colors: black, blue, or red. This speaker carries 24-hour battery life, an 18-month warranty, Bluetooth 4.0 connectivity, and “superior sound quality” with “less than 1% total harmonic distortion.” It currently holds a 4.6 rating on Amazon with well over 700 reviews.